How many times have you ordered the wrong coffee because you didn't know how it's made?? 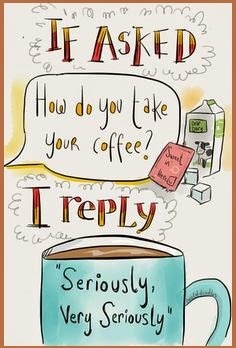 Or worse, how many times you went wrong in making that perfect cup of coffee you loved at your favorite coffee shop?? 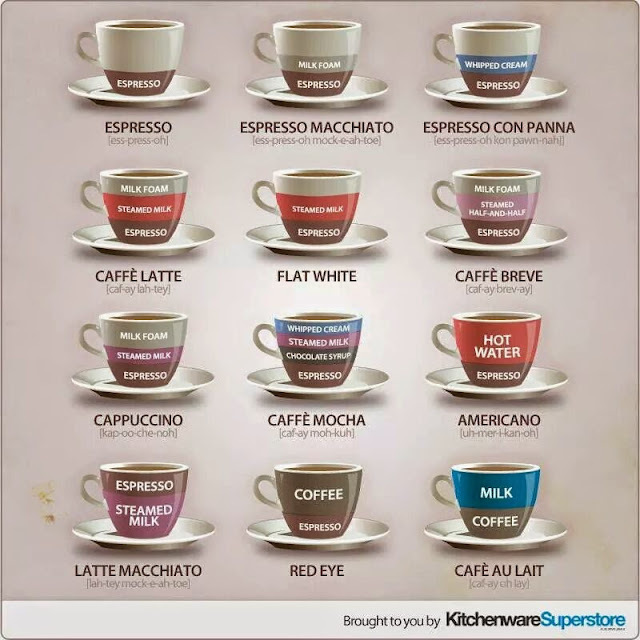 Thanks to a promotion by 'Kitchenware Superstore' you can pick your perfect cuppa!! They have given the basic types of coffees, how they are made and thankfully how they are spelled. It's not only a good marketing gimmick, but a very needed educative literature on Coffee! Ever since Chain of Big Coffee Outlets have become popular in Indian cities, people find something terribly glamours about it. It's incomprehensible how people can talk so much over a drink they can't even spell right! Hearing an "EXpresso" or "Cafe ou Late" is so very nerve shattering that you might as well take alcohol to recover! Do try out your perfect one and let me know how you take your coffee! !